I’m delighted to welcome author Jacqueline Ward to Little Bookness Lane today, as part of her Random Acts of Unkindness Tour. With the success of my crime novel, Random Acts of Unkindness, several people have asked me lately how I arrived at crime writing. Like most people, I started writing at school. Then I didn’t give up later on. Likewise, reading began at around five years old and I continued. 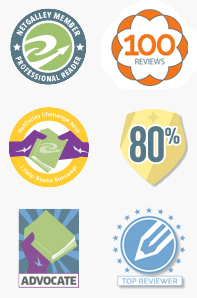 So when I decided to write novels I thought I had a fairly good grounding. How difficult could it be? Not so easy, it turned out. I began writing short stories for publication around 1995 and had some success with women’s magazines. So the natural next step was to write something longer. I’d been thinking about a story I heard about my great grandmother and I began to write that, with some autobiographical details thrown in. Bound to be a winner, wasn’t it? I sent it to the Romantic Novelists Association as an entry to one of their competitions. The main thrust of the feedback was that I had spelled ‘whether’ as ‘wether’ wrongly the whole way through the manuscript conjuring up the image of a castrated male sheep for the reviewer! Then I sent it to a couple of agents (with corrected spelling), and it was rejected. Around that time I had been working with a group of young people at a youth project and I began to realise that there was more to storytelling than meets the eye, that rather than just being a source of entertainment, it’s how people construct and understand their life experiences. So I went to study it academically for many years and came out on a very different trajectory than I entered at – I was a narrative psychologist with a successful non-fiction book! But I still wanted to write fiction. In fact, I couldn’t stop writing fiction. I read a lot of women’s fiction and decided I would write fiction for women. Seemed entirely reasonable. I didn’t plan to write formula fiction, rather stories about lives, wherever that took me. The first two novels exorcised my own life out of the stories, leaving my set to write a third story free from my emotional shackles. My third novel was the first one I had been completely pleased with and excited about. However, when I sent it out I soon realised that it was considered mixed genre. In between writing the third novel and revising it, I wrote a speculative fiction story and briefly wondered if I was meant to veer off in this direction. Then I started another women’s fiction book that again had dark undertones. By this time I had detected a pattern – these women’s fictions books were all set against a landscape of the peaks and troughs of lives and how people dealt with loss and various emotions. I’d learnt about Freytag’s pyramid by this time, and about comedy, quest and tragedy stories. I’d learnt about seed words and thematic questions. Sometime early last year I realised that I my thematic questions were about crime and mystery and I was trying to squash them into a women’s fiction shaped container. I love my characters, so much that I dream about them. I was and still am committed to strong characters who, like real people, have their own nuances, flaws and ticks. So as well as the confusion over genre, I was trying write a character-led novel with an equally strong plot. This led to a slow pace – I was trying to do everything at once. It wasn’t until my work attracted the attention of agents and I received their feedback that I realised I was a crime writer. I’d had some requests for full manuscripts from agents who represented crime and thriller authors, and I came to realise that this was what the darkness in my writing had been – underlying tones of dreadful things in women’s lives. I had also been writing strong women characters and some of the critique from beta readers mentioned that they were perhaps a little too quirky for women’s fiction. I told myself that they were quirky because of their horrendous life experiences, but never wrote about the horror. It was almost as if I had been resisting writing what I wanted to in an effort to get myself to a point where I wasn’t writing about surface issues. Writing about crime and mystery has made me develop my writing in a way that I had never been able to before. My interest in characterisation extends to the characters surrounding the crime and affected by it, as well as the antagonist and protagonist, and this has given me an opportunity to use my psychological knowledge to understand the dynamics. Having described my journey so far, it sound like I have a master plan, all plotted out somewhere. Yet when I start writing all of the above is in there somewhere, driving the core of the story as the characters provide a canvas for it. It’s still difficult, and a challenge. But the joy from the creative process makes it worthwhile. That, and imagining my novel published and read. So crime writing is for me. It always was, right from the first novel when I took imaginary revenge on the man who left my great grandmother alone with a child. I just had to recognise it. Now it’s difficult for me to imagine writing anything else. Although who knows where this writing journey will take me next? Bessy Swain, an elderly woman that Jan finds dead on her search for Aiden, and whose own son, Thomas, was also missing, may have the answers. Jan uses Bessy’s information and her own skills and instinct to track down the missing boys. But is it too late for Aiden? Jacqueline writes short stories, novels and screenplays. She has been writing seriously since 2007 and has had short stories published in anthologies and magazines. 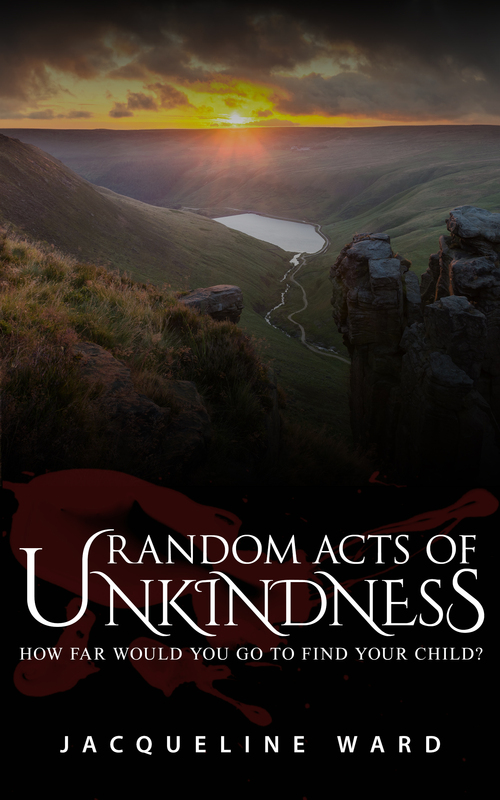 Jacqueline won Kindle Scout in 2016 and her crime novel, Random Acts of Unkindness, will be published by Amazon Publishing imprint Kindle Press. Her novel SmartYellowTM was published by Elsewhen Press in 2015 and was nominated for the Arthur C Clarke Award in 2016. Jacqueline is a Chartered psychologist who specialises in narrative psychology, gaining a PhD in narrative and storytelling in 2007. She lives in Oldham, near Manchester, with her partner and their dog. Huge thanks to Jacqueline for taking the time to write this guest post. The tour continues tomorrow with Jaffa Reads Too and A Daydreamer’s Thoughts. I agree, I’ve not read this one myself but it sounds intriguing!